Leading PR and marketing agency Shooting Star has announced teenage suicide awareness charity Help Me, I’m Fine as its 12th charity of the year for 2019. Help Me, I’m Fine was set up by Helen Cousin from Misterton near Gainsborough in June 2017 shortly after her 16-year-old daughter Maisie Cousin-Stirk tragically took her own life. The charity took its name from a note Maisie’s family found among her possessions following her death which read “Help me” one way and “I’m fine” when turned upside down. Shooting Star will work with Helen on a pro bono basis throughout 2019 providing marketing, PR, online and event support. “We are absolutely honoured to have been chosen as Shooting Star’s charity of the year,” said Helen. 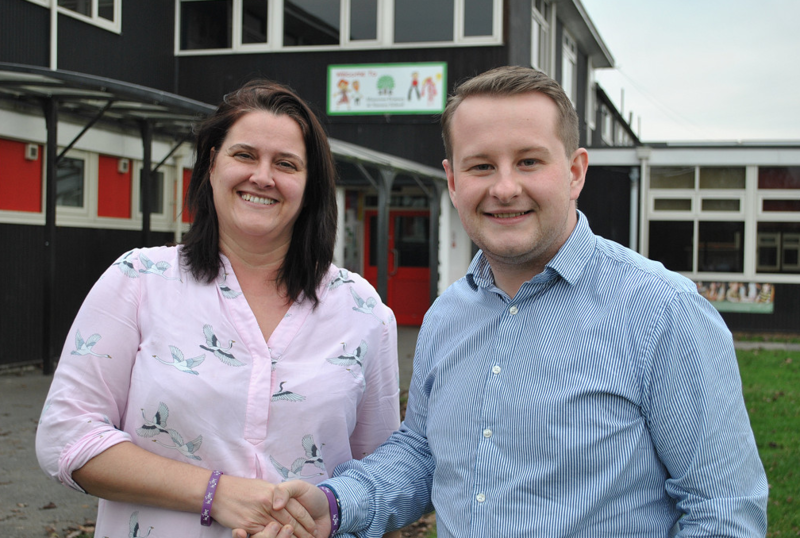 “We’ve got lots of fundraising activities planned over the next 12 months and I’m thrilled that the team at Shooting Star will be able to support us with them. Following’s Maisie’s death, Helen and her family decided to use the money raised by their local community to purchase 750 lapel badges featuring the ‘Help me, I’m fine’ ambigram left behind by her daughter. 18 months on, Help Me, I’m Fine has raised thousands of pounds which has paid for suicide prevention training sessions in several primary schools in Lincolnshire and Nottinghamshire. The THRIVE training programme aims to help teachers and school staff identify children who might be unhappy, worried or suicidal. Helen continued: “All the money we’ve raised so far has paid for training in local primary schools. The training equips teachers to spot when a child might be going through a difficult time. For the next 12 months, Shooting Star will work pro-bono with the charity to help raise its profile. Kate Strawson, Shooting Star Director, commented: “We first began our charity of the year initiative in 2009. The idea is to work with small charities which need additional marketing support. “We had several compelling entries this year, but the whole team was deeply moved by Help Me, I’m Fine’s story. We are absolutely delighted to be able to help them grow, and most importantly, make a difference.